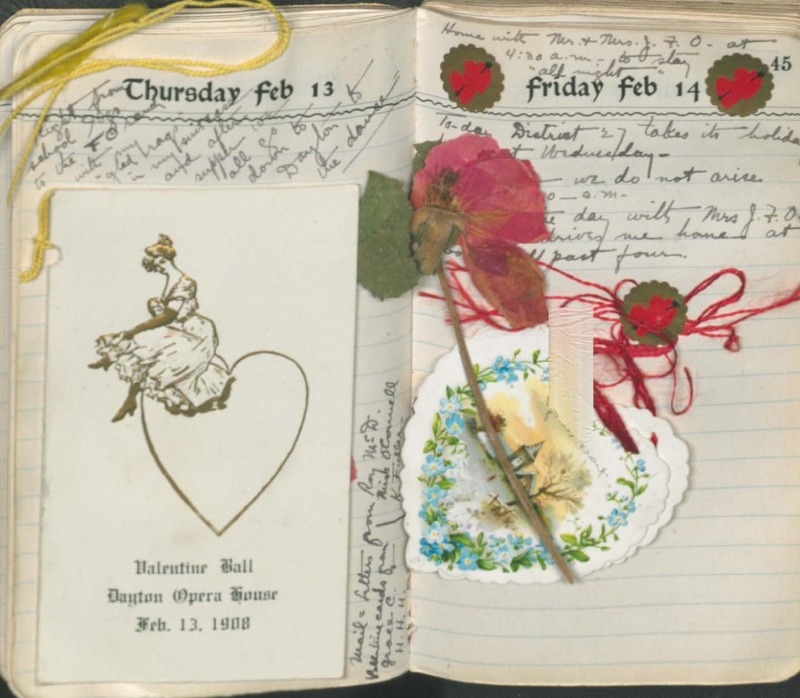 Dance card, pressed flower, and paper valentine pasted in a diary, 1908. Edith K.O. Clark papers, #12580, Box 1. 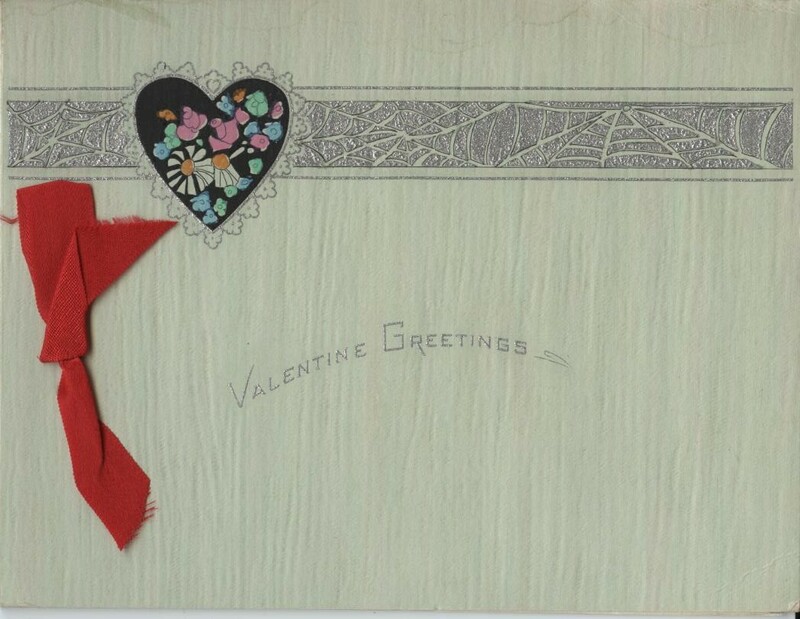 Front of Valentine’s Day greeting sent by a friend to Elma Brown , 1926. Elma Brown papers, #300019, Box 1, Scrapbook. 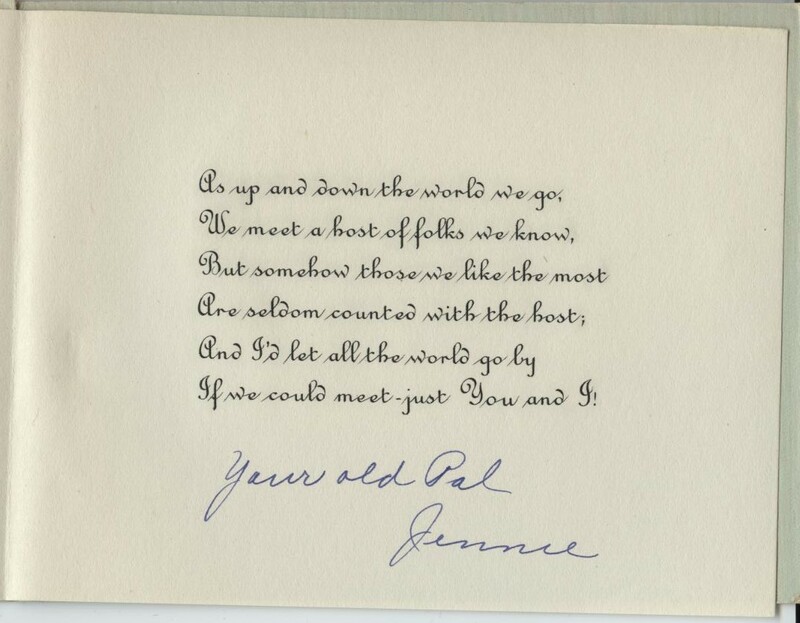 Inside of Valentine’s Day greeting sent by a friend to Elma Brown , 1926. Elma Brown papers, #300019, Box 1, Scrapbook. Hearts . . . candy . . . flowers; today people are celebrating their love for one another. Check out these expressions of the holiday from the first half of the twentieth century; with flowers, stickers, paper greetings, and cake (mmm). How will you remember today? 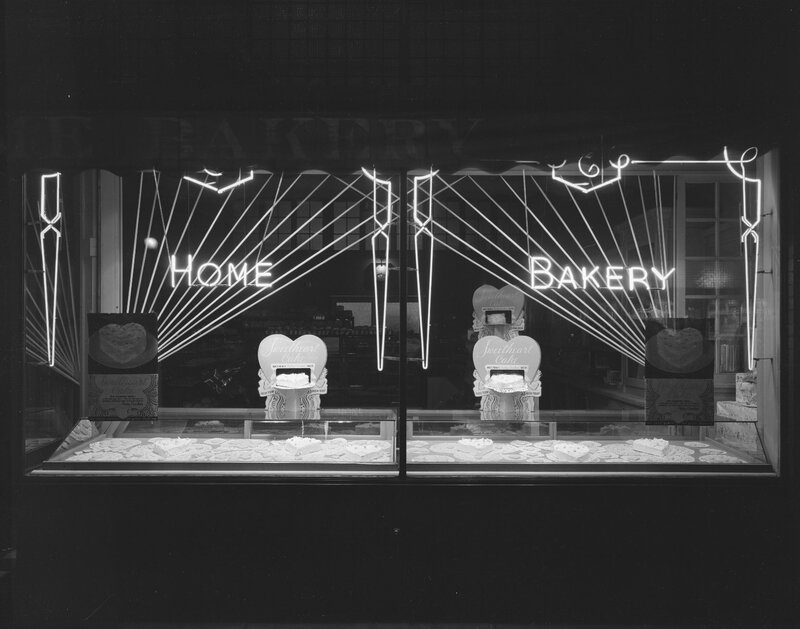 This entry was posted in Valentine's Day, Wyoming history and tagged Valentine's Day, Wyoming history. Bookmark the permalink.